The following perspective is an excerpt from The Wonder Walls: From the Streets of Toronto. 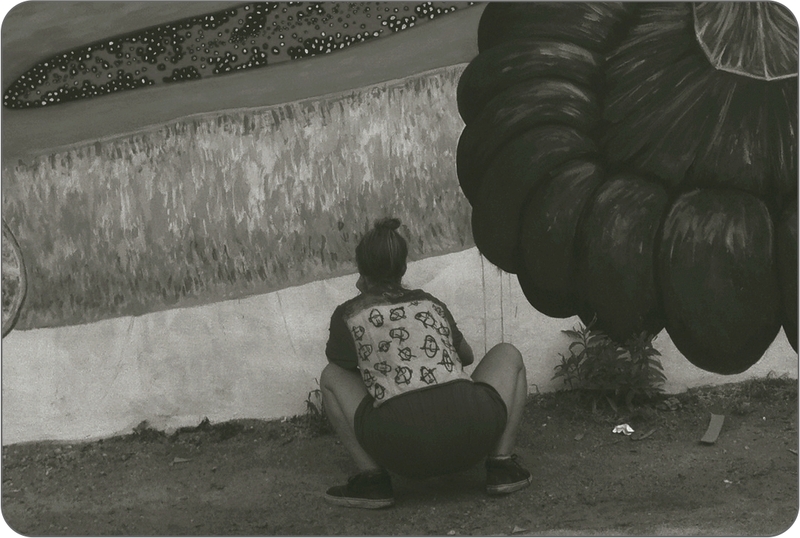 Jocelyn Kearns is a mural artist, skateboarder and healer. The Wonder Walls brings together 10-unique perspectives from remarkable people who have used positive solutions to overcome life’s challenges. It also features 44-inspirational message postcards that showcase the walls of this culturally diverse city. The 8isGreat platform encourages you to choose which of our empowerment partnership organizations you want a part of our proceeds to benefit. To read more about this perspective story or to order your copy, please visit http://www.gobegreetings.com. I am open to each day being unpredictable. In this way I have achieved my own personal freedom that allows me to grow internally and be a positive example to those I encounter. My motives and intents of living life revolve around the practice of healing, myself and others, in all aspects of the term. I think a lot of us have been told to make restrictions on ourselves; to only partake in one method of expression or interaction with this world, to try and predict tomorrow and bury ourselves in the burden of our expectations. I know that I am far more than any possible labels I can come up with to describe the actions that I have done previously. The art that I make begins with the way that I breathe and continues with the gratitude I express between sleeps.